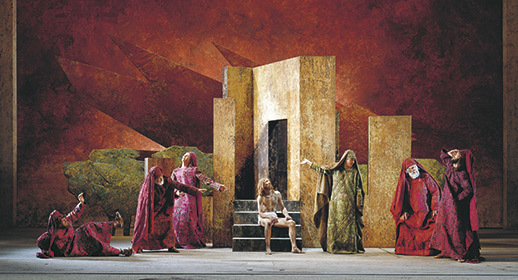 Every ten years, the small village of Oberammergau in the Bavarian Alps stages what is regarded as the most important passion play in the world. The next performance will take place in 2020, when an estimated audience of some 500,000 people will watch one of the 102 performances taking place in the village. Join us on this special holiday which will start with a seven-night river cruise taking you through Hungary, Slovakia, Austria and Germany. After disembarking at Regensburg, you’ll transfer to Oberammergau and take your seat at the passion play for this once-in-a-lifetime experience. Discover a tale of two cities during an included tour of Budapest this morning, revealing both sides of the city – Buda and Pest – that occupy opposite banks of the river. See the stunning Gothic Hungarian Parliament Building and the Cathedral of St Stephen, which is home to the mummified right hand of Hungary’s patron saint and first king, Stephen I. This afternoon you can explore the city independently; keep an eye out for the seven towers of Fisherman’s Bastion or perhaps enjoy a walk across Heroes’ Square. This evening enjoy dinner on board and cruise overnight to Bratislava. B, L, D.
Enjoy the morning at leisure to explore prior to taking your seats in readiness for the start of the Passion Play at 2.30pm. The play begins with the customary prologue and chorus, followed by two tableaux of Adam and Eve, and a representation of the original vow made in 1633. The play then follows the life of Jesus from his entrance into Jerusalem on a donkey, to the Resurrection. There will be a three-hour interval between 5pm and 8pm when dinner will be served, before the performance recommences, finishing at approximately 10.30pm, when you’ll return to your hotel. B, D.
Check out after breakfast and travel to Munich airport for your return flight to the UK.